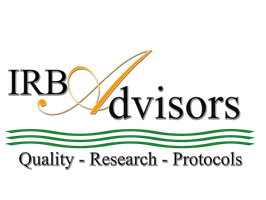 Restoring Life by Cynthia Bellas - IRB Advisors, Inc.
We begin to wax poetic when we experience seismic shifts in our lives. I spent a little more time than usual looking around me today and found this article. http://bit.ly/1Ju0cPq The story resonated so deeply because of a decision I had made to seize back the reins of my professional life. Many of you have attended my presentations about Ethics, Process Improvement, and Crowdfunding but the one that consistently garners the most attention is the one that talks about coping with abusive behavior from the standpoint of the Research Administrator. Many of us have grand stories to recount on this topic but the Monkey Trap article forced me to reflect on why we choose entrapment over freedom again and again. The story explains a trap that is used in India for monkeys. A banana (i.e. small, attractive object) is place inside a jar only big enough for the paw. 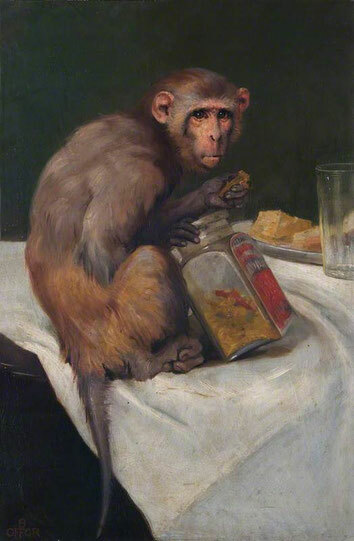 The monkey reaches in for the fruit, struggles to get the fruit out of the opening and while doing, gets a bag over his/her head and rendered captive. I began to question, What is the Research Administrator's banana? Is it money? Doubtful. Reputation? Closer. Job security? Maybe... Power? Laughable. Our positions place us in the path of the perfect storm for abuse, we are the "naysayers" to fields of dreamers and often have the unpleasant task of curbing infinite privilege. We analyze and inform on risk and that can make our opinions quite unpopular. Sometimes our grasp on what we believe we do for an institution or company is in direct conflict with passions that we can not logically assess. People dig in and defend positions we think unimaginable, in some cases, indefensible in the light of the rules and regulations we hold so dearly. Maybe that is our banana. Compliance, protection, regulation, authority, these are the up-to-the-minute words of our work. It is so difficult to resign a process to self-destruction and then be forced to witness the wreck. You wince as you ask, what will the catastrophe claim? Will it take the PI? The study? The institution's hard won reputation? The data? I have long proposed that Research Administration jobs are some of the most stressful because we see what is coming, make recommendations but then have the ultimate shock of watching the disasters unfurl if the advice is ignored. Ironically, we are usually blamed in the aftermath. Our experiences are unique in the field because we suffer progressive blows to our confidence, self-esteem, morality and ethical base all along the way. When asked why these experiences are so traumatic I explain that we spend our lives trying to encourage everyone to follow the rules, we tend to be rule abiders...we were the kids in class that shaped up the line before the teacher returned so no one would get in trouble. Ahhhh, The Banana. The most successful administrators are those that distance their personal desire to shape up that line with the reality of messy configuration. They make advance plans and strategically prepare for the crash. They have the patience to allow the doom to happen while simultaneously sending for the cleanup crew. The only personal investment is making certain the disaster plan is written and effective. So that's the remedy to the Banana Trap...hold fast only to the human reasons that bring you to the jar, recognize and honor the impulse, prepare for the worst but have the exit plans well established. In my case my route worked for me. Think about yours now, the bag is on the way.